The single biggest investment fee is the tax we pay to Uncle Sam. It blows my mind when I see clients keep all or the majority of their funds beyond immediate and emergency needs (6 to 12 months of expenses) in bank deposit accounts yielding .10 or less. Not quite as severe are those that have their funds invested in capital markets through decent mutual fund companies, but they are not in tax advantaged accounts, even though they are available and are not yet maxed out. These "golden egg" accounts offer tremendous benefits and ways to mitigate taxes we pay to Uncle Sam, and it is vital that investors with access to them through their employer, or through their income levels, contribute as much as possible. I did a google search recently looking for tips people may have for getting a large sum of money (say from a recent home sale, severance pay, or inheritance) into tax advantaged accounts like IRAs or 401k's. I was not satisfied with the results I found, so I'm going to share a quick overview of what I did for a friend that was in this situation due to an inheritance he received from his Grandparents, and provide tips on how to get excess funds invested into these golden egg accounts so that your funds can grow tax free. My buddy's Grandfather passed away about 6 years ago and left him $300,000. I know. Cool Grandpa. What's more, the funds were invested in an ultracool 3 fund portfolio at Vanguard, but were not sheltered by 401k or IRA rules. In other words they were taxable. Through the recent upswing in the economy, some of these funds would be sold with capital gains, so it wasn't as easy as simply selling all the funds. There were tax implications. After consulting with some trusted mentors, we decided it was best to sell a portion of the funds, approximately $100,000 and put them into a savings account at my friend's local FDIC insured bank. By our calculations, as a taxpayer filing jointly with his wife, he was in the 15% tax bracket and was eligible to sell these funds at the 0% long term capital gains rate under a few conditions and rules. The short version of these conditions was married filing joint taxpayers with taxable (after deductions and exemptions) income of $70,700 or less are able to sell their capital assets at a profit and pay 0% on capital gains up to $70,700 (in 2012). My friend's taxable income was only $45,000 which allowed him to realize $25,700 in capital gains at 0 percent, exactly the amount he realized with the sale of $100,000 of his Grandfather's investments. The following year, this friend took a job at XYZ Corp. which offered a tremendous 401k program through Vanguard. Between this 401k, his IRA and his wife's IRA, my friend was able to contribute $29,000 toward his retirement, while also bringing his taxable income down DOLLAR for DOLLAR. How was he able to max all of these accounts you ask? Remember the $100,000 in taxable Vanguard funds we sold last year that were sitting in a checking account? Well, my friend did something very wise. He and his wife were able to resist the temptation to buy new cars and go on lavish vacations, and instead they set up a direct deposit from their savings account into their checking for the baseline expenses needed to support his family, approximately $2000/month. His paycheck through his employer only came out to around $500 after deducting 60% of his salary into his 401k, but the transfer from savings made up the shortfall. What you just read is a critical point. Go ahead and re-read that last paragraph. For those of you that have a substantial amount of funds sitting in your checking or savings at your local bank, do yourself a favor. Do what my friend did and get those funds into your IRA or 401k so they can grow tax free at an attractive 8% annual return, far more than the .10% your local bank is paying you. At the end of year 2, my buddy's situation was far more attractive than in year 1. We determined that his taxable income was substantially less than the $45,000 in the previous year due to the massive contributions he made to his company's 401k and his family's 2 IRAs. His taxable income was only $20,000, offering him the option of realizing $50,700 in capital gains from the sale of his Grandpa's funds at 0%! As it turned out, this was exactly the amount of capital gains he realized on the sale of the remaining $200,000 in inheritance, and my friend continued his strategy of auto-depositing funds from his savings into his checking for day to day expenses, and continued maxing his 401k and 2 IRAs. Through hard work and a "live below your means" mentality, my friend has managed to consistently move a substantial percentage of the funds received from his Grandfather into tax advantaged accounts, and his portfolio has swelled to over $400,000 at age 35 making him well on his way to early retirement. A lot of my clients don't realize the tremendous benefit investing in tax advantaged accounts can have over a lifetime. Can you imagine not having to declare dividend income? Imagine not having to pay capital gains tax every time you exchange or sell a mutual fund! Wouldn't it be nice to have to pay taxes on a $20,000 income vs. $50,000? 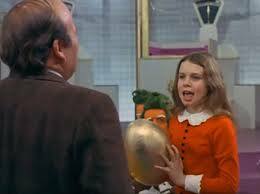 I think Veruca Salt had it right in Willy Wonka. I want a Golden Egg...and I want it NOOWWWWW! Don't you? Wow, that's a great story. I wish I'd get $300k to add to my nest egg! But point taken, there is a big difference between using a checking/saving account or using a Roth Ira/401K. One way to resist the temptation of buying "stuff" with the money is to pretend like you didn't get the money and invest all of it. Is there a rule regarding how much earned income you have to make to be able to max out a 401k or IRA ?? I have a small amount of wages plus alimony and child support. As I get my income up, can I max out the retirement account ? Let's say my child support and alimony is 24k annual, and my paycheck is 14k. Could I max out a 401k at $17,500 ??? ?